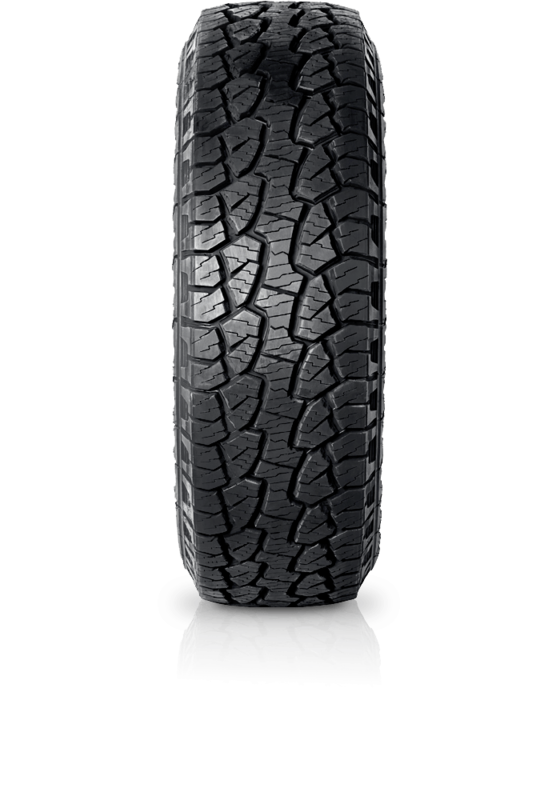 Hankook Dynapro AT-M RF10 is a premium all-terrain tyre for light trucks, vans and SUVs. Hankook Dynapro AT-M RF10 is a premium all-terrain tyre for light trucks, vans and SUVs. The tyre's innovative tread and sidewall design will enhance the style of your vehicle. Developed for the most powerful four-wheel drives, it offers superior traction under all road conditions. The deep kerfs and grooves extend tread life without sacrificing ride or wet weather performance. Angled side grooves perform a self-cleaning function - pushing out mud for better off-road performance. The rugged tread pattern has excellent resistance to cuts & tears.